Good morning! Jess here! I hope you had a great weekend celebrating World Card Making Day and I also hope you’re hard at work creating your cards using The Ton stamps and gilding for our very first challenge! You can find more details about that here! Thanks so much for visiting today and don’t forget to comment on our World Card Making Day Hop for chances to win several gift certificates!! 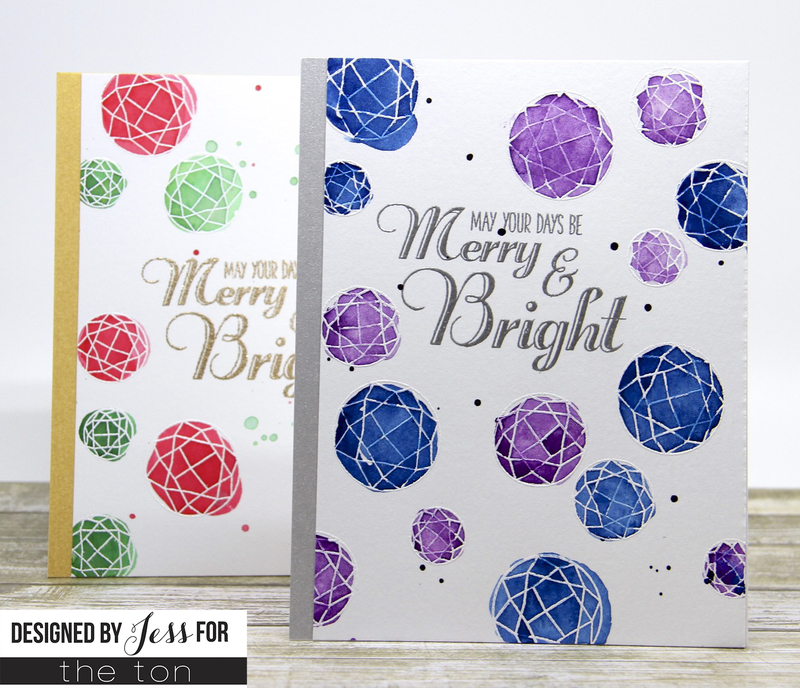 Very creative Jess using the Round Diamonds stamp set to create bright and glowing ornaments! I’m so excited to have found The Ton, thanks to Jennifer Mcquire, because I love your stamp and die sets and look forward to seeing what you have in the future. Congrats to all of the DT and The Ton! Super cute cards! Great job and use of colors. Thanks for sharing! LOVE your colour combos and – WOW – your diamond ornaments add so much dimension, I feel like I could reach in behind, beside & in front of your sentiments and touch them => AWESOME!!! Oh….the blue and purple one!!!! I just found your link from a card making site, so happy that i looked.. The images are beautiful and i can’t wait for the Bows to be back in stock. hey jess:) your cards are all so awesome… like always!!! super inspired by it:) thanks for gr8 card ideas….